Does planning for Brexit seem like a daunting task for your business? Are you secretly hoping it will all just go away with a last minute decision? 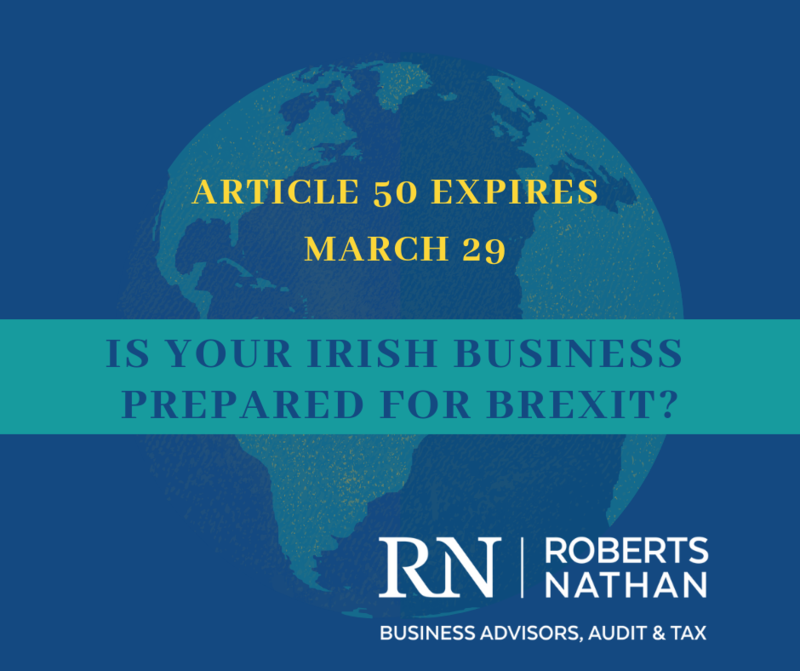 With Article 50 set to expire on 29th March and a crash-out scenario very much on the cards, planning for Brexit has become a priority for Irish business owners. Like it or not, the businesses that are failing to prepare NOW are the same businesses who are preparing to fail come the end of March. Here we outline the necessary steps to get your business on track with Brexit planning and the various resources and supports available to Irish businesses. Firstly, remember that with change comes opportunity. Use Brexit as a learning exercise to take a deep look at your business. Utilize all available resources and financial support services outlined below. Work with us to construct your strategic plan for each Brexit scenario. We can help you identify areas where you can maximise the opportunity and reduce unnecessary risk. Be Prepared Grant (Enterprise Ireland) – Brexit Planning support up to €5,000. Market Discovery Fund (Enterprise Ireland) – Research new market entry strategies. Start to Plan Vouchers (InterTrade Ireland) – For obtaining professional advice on Brexit. Brexit Loan Scheme (Government Scheme) – €300 Million Brexit Loan scheme. Future Growth Loan Scheme (Government Scheme) – Strategic long-term investment. TAME (Local Enterprise Office) – Financial assistance for micro exporters. Here at Roberts Nathan we have been assisting clients to navigate through the potential regulatory, tax and finance issues which may result from a “No Deal” Brexit. If you would like to discuss Brexit planning for your business, please don’t hesitate to get in touch and we’ll be glad to assist you. Aidan is a Chartered Accountant with over 25 years’ experience. A trusted advisor to SME businesses he is also involved in assisting both UK companies coming to Ireland and Irish companies looking to the UK market and has been for a number of years. He has worked with a number of State and UK government agencies on FDI promotion and has been involved in presentation events both here in Ireland and the UK for doing business in both jurisdictions. With his extensive experience in dealing with start-up businesses, including 11 years’ operating as a sole practitioner, he is ideally placed to deal with SME businesses and their initial requirements including structuring, planning and general business advice.